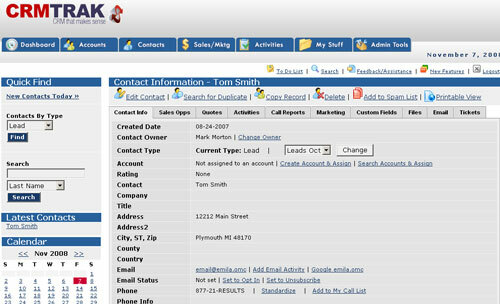 CRMTrak is a perfect tool for online contact management. Users get a single, comprehensive view of contact information and history. The customizable view gives you the flexibility to add information specific to your company and industry.